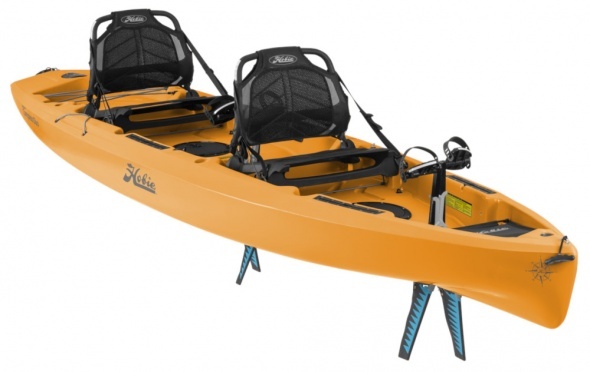 Hobie Kayaks Compass Duo 2019 - Orange Papaya. 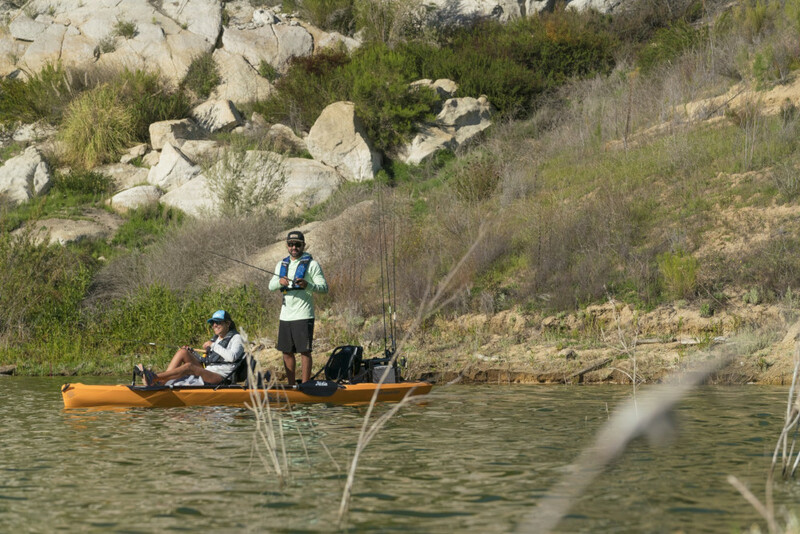 The great Hobie Compass is now available as a tandem. With 2 sets of mirage drives, Vantage seating and acres of deck space the Hobie Compass Duo is ideal for families and fishing partners looking to enter the Hobie lifestyle! As the Hobie Compass fast became an overnight sensation with its lightweight manoeuvrable hull managing to hit the sweet spot between features and price, many customers suggested that a double version might be even better and for 2019 Hobie have responded with the Compass Duo. This great craft has the bow of a Revolution, the midsection of an Outback and the stern of a Pro-Angler and is versatile enough to cope with both flat and choppy water whilst remaining stable and easily driven. With two sets of Mirage pedal drives the Compass Duo will take you farther and in great comfort due to the Vantage seating system which keeps you nice and dry above the deck. Two hatches plus a huge rear tank well and forward netting mean there is plenty of storage and due to the size of the deck area there are many options for customisation should you wish to add further hatches etc. For the fisherman (or woman!) the Duo has four sections of H track pre-installed and these are compatible with the accessory ranges from Railblaza, Ram, Scotty and others. 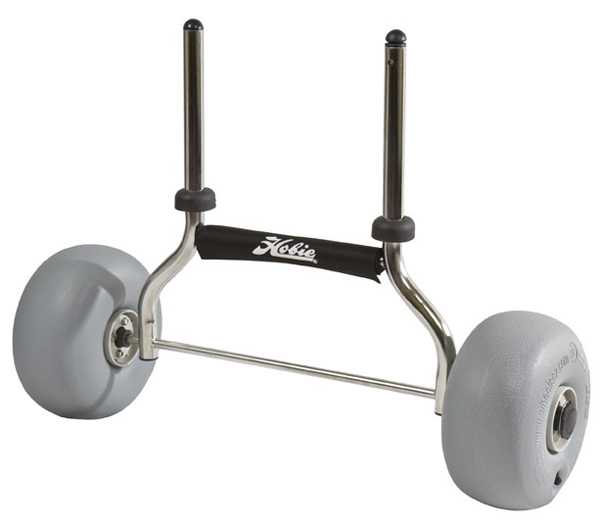 This is in addition to the four flush mounted rod holders giving a comprehensive set of fishing features which can be built upon with various Hobie accessories such as the H Crate. Of course the Compass is fully Lowrance ready with space under the hull for a transducer and optional deck glands for waterproof cable mounting. 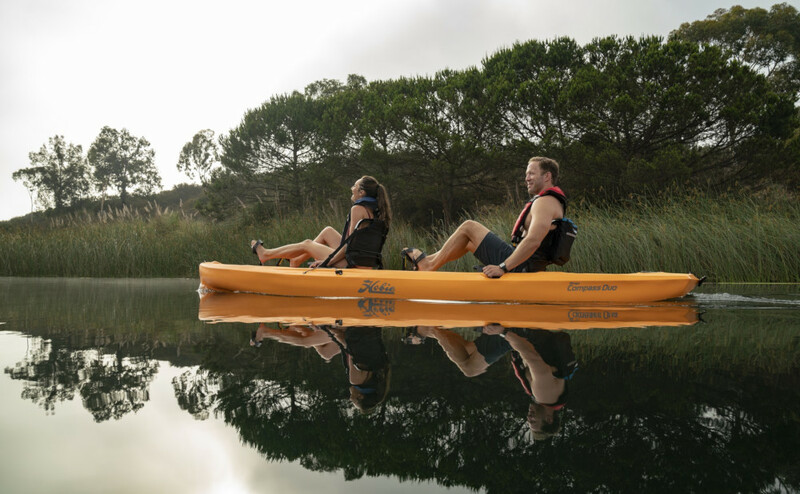 The Compass Duo is a fantastic introduction to the world of pedal kayaking and perfect for anyone looking to get out on the water and find some adventure with their family or friends. 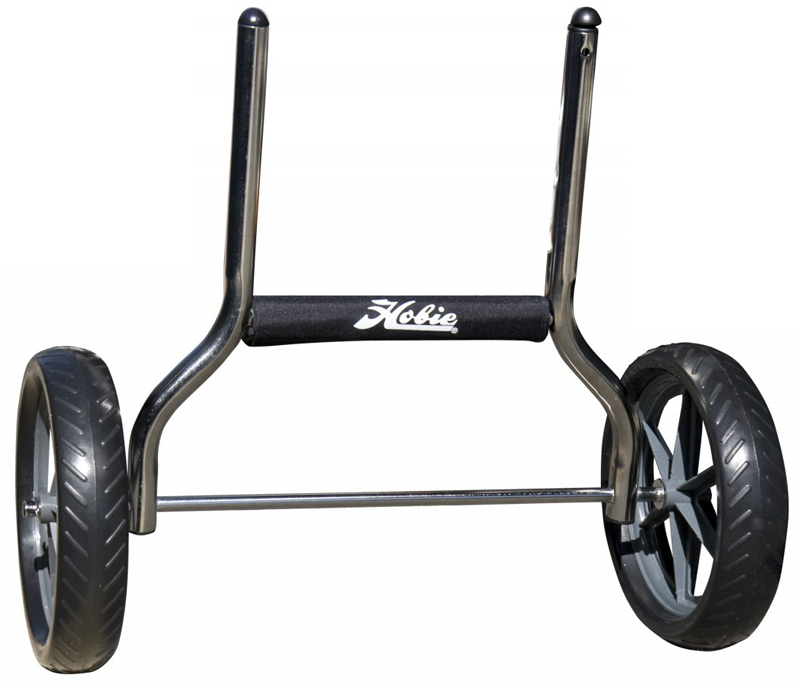 We offer a delivery service for the Hobie Compass Duo to home and work addresses throughout England, Wales, Scotland, Northern Ireland & Ireland. Buy a Hobie Compass Duo online from our website and collect from our store in Newhaven, East Sussex or from any branch within the Canoe Shops Group. There is no cost associated with this*. We can now offer 0% Finance on the Hobie Compass Duo (0% APR Representitive).